A Blakeney Seal Trip with Beans Boat Trips and a Guided Tour of Blakeney Point by National Trust wardens. A custom Beans Boats ferry will be boarded at Morston, which will traverse Morston Creek and out into Blakeney Harbour, while the crew will provide local information. 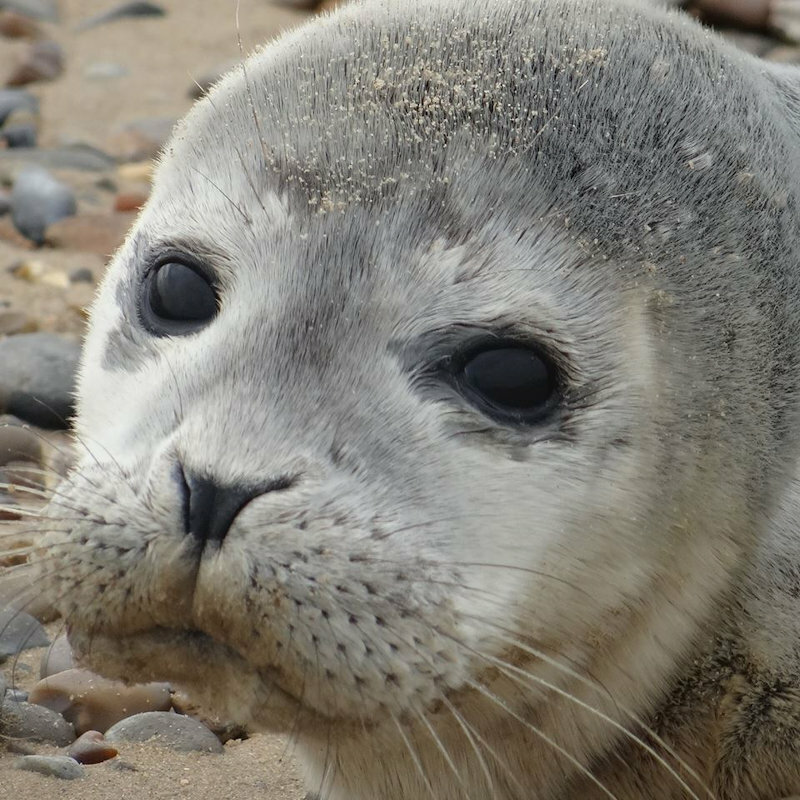 The colony of approximately 500 Common Seals and Grey Seals are usually found on the sandbanks at the far end of Blakeney Point. Common seals have their young between June and August, so their numbers will be plentiful during our visit. After seeing the seals, the ferry will land at Blakeney Point, one of the most important sites for migrating birds in Europe, for a 1h tour by The National Trust. Blakeney Point is a long shingle spit which provides habitats for a number of specialist plant species such as Sea Campion, Sea Lavender, Sea Beet as well as some rarer species. The National Trust took over the Point in 1912 and it is now an international breeding ground for many migrant birds. Its most popular summer visitors are the terns - mainly Common, Sandwich and Little Terns and, quite often, also Arctic Terns. Other shorebirds that will be found include: Oyster Catcher, Ringed Plover, Turnstone, and Dunlin. The boat will then be boarded for the return journey to Morston Quay. The small village of Morston is situated along the A149 coast road between Blakeney and Wells-Next-The-Sea. It is well sign posted and is easily accessible. The quay at the bottom of Morston lane provides ample car parking (free to National Trust members) also toilets and a small caf�. The boat leaves at 12:30 so please arrive at 12. Blakeney Seal Trip & Guided Tour of Blakeney - A Blakeney Seal Trip with Beans Boat Trips and a Guided Tour of Blakeney Point by National Trust wardens.